Yeah Whatever! Show Me Proof! How Can cssSandpaper Give Me text-shadow Goodness? Download the latest version of cssSandpaper with IE text-shadow support. Like any polyfill solution, there are a few things one has to keep in mind when using a solution like this. Creating a large text-shadow blur (i.e. greater than 70px) on a large piece of text can cause Internet Explorer’s rendering engine to slow down when the text is scrolled into view. The letter 'P' and other letters with descenders may get cut off if the line-height is not set to be larger than the actual font-size. 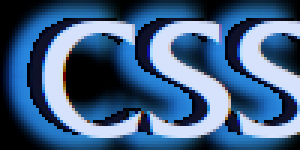 Examples of a correct looking text-shadow (left) and a text shadow that is a pixel off (right). What you set this value to will depend on the text-shadow recipe you are using and, to paraphrase my Mathematics text-books in college, I leave it up to the reader to play around with the -sand-chroma-override value to see what looks best in which situation. Choice of Selector Library: I will be refactoring cssSandpaper to use other selector libraries besides cssQuery, which is currently bundled with it. This will include, but not restricted to, jQuery. This will allow developers to reduce the number of libraries included in their documents and reduce load time. Modularity: I will make it easy for developers to make their own plugins to support CSS properties not currently supported by cssSandpaper. This module framework will also allow developers to only add support for the CSS properties they want to use (e.g. if a developer doesn’t use any CSS3 transforms, then they don’t have include that code or supporting libraries, like Sylvester.js). Only Download Code If Needed: I want to make cssSandpaper only download plugins if actually needed. This will probably be done with Alex Sexton’s and Ralph Holzmann’s excellent yepnope.js library. While this library can be used today to speed things up, I want to look into making a little more integrated, if possible. Further CSS3 Support: I am looking into polyfills at the moment, like border-image. Any other ideas for plugins will be most welcome. Thank you very much for your talent. @Gorilla: Thanks for the kudos! @Piero: If you like the Law and Order logo, feel free to grab the full screen version I made. 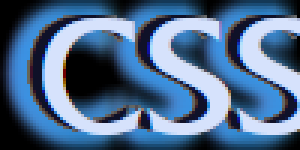 It is included in the cssSandpaper package on github. Very helpful it would be if you were to enhance Tim’s Page with IE8 support and post it somewhere. (I’m not that concerned about going as far back as IE6 or 7 – text can degrade to shadowlessness in those for all I care – but IE8’s going to be around for a long time to come. Just an idea. Make a nice post here. BTW – if there is a fix for IE 6/7, too, hey, let’s reach for the brass ring, why not. @Richard: Way ahead of you! As soon as I fix the TypeKit bug, I will definitely be posting a version of that page (pending Tim’s permission, of course). From what I can see, it should work with IE7-9. Will keep you posted. I just love your tools to make CCS3 properties to work on IE and olders versions. I was looking for a solution to incorporate into my “HTML5/CSS3 Enabled Joomla Template Framework” and I have to say that you did a good Job as well Jason, from CSS3Pie. I’m incorporating both solutions to the framework. Error: Unable to get value of the property ‘split’: object is null or undefined’ in cssSandpaper.js. I also have jQuery running but that does not seem to be an issue (its in noConflict mode). Is there anyway to make this run in a kind of ‘noConflict’ mode, like jQuery and/or to use jQuery to get the selectors anyway rather than cssQuery? Will be great when I get this working though! Very nice library. However there appear to be problems with using cssSandpaper transforms in conjuction with CSS3 style text shadows in IE8. Also when interactive application of a textShadow e.g. onclick=”document.getElementById(‘myBox’).style.textShadow= ‘0 0 20px yellow, 0 0 60px yellow”; does not work in IE8. @Phil: Regarding the first question, I have noticed that there are some issues with fixing transforms and text-shadows in IE, and am looking into a fix for that. I will also be adding a way to add text-shadows programatically in IE in a similar way as the other CSS3 properties supported by cssSandpaper (text-shadows are the only property which cannot currently do this). Hi, I’ve updated my script, and now you can handle shadows at interactive events. Why are the examples pictures instead of actual text? This is really awesome. I mocked up a page with this tonight and was quite impressed with the result. I had a small issue though, I threw my example in with some simple jquery which uses $.ajax to update a span which I’d applied the text-shadow to. Once the span is updated, the style goes away. Any way to refresh it? @Jeff: currently, the library doesn’t support updating it dynamically. This will be fixed in a future release. Thank you for your diligence in making this available and understandable. You (and those that contributed to this) are a great asset to web-developer community. Just wondering how much (IF at at all?) will this slow down loading & rendering of web sites in IE7+ ? 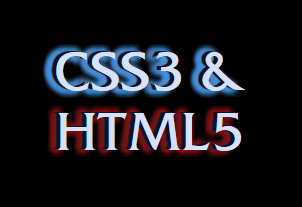 I have tried http://heygrady.com/blog/2011/03/10/css-text-shadows-in-internet-explorer/ solution, but in my opinion it slows down IE9 so much that I can’t use that on client sites. How about this one here? Is it better to use some JS or jQuery based version? Please suggest. Well I was pretty excited about this. I downloaded you files and looked over the examples. the all worked, but i noticed there wasn’t an example of text shadow in there. Anyway text shadow is the only thing I can’t get to work. I looked at the code for this page and saw that you had [[/asamuzak.jp/textshadow.js]] in the head so I copied that too. but no joy! what is the secret “User Agent Man”? Well it is amazing what getting a few hours of sleep will do for ya. Looking at it with new eyes this morning I spotted a comma in the wrong spot ;) et voila! Text Shadow!! I only commented because i wanted to type inside the neat comment bubbles. thanks for the helpful info! I just tried this in a new site I’m building and the text-shadow on my hover states don’t seem to work. Actually nothing works with :hover. Is this a known bug or just a feature you haven’t added? It’s definitely working, just not on hover states, which is what I need. @D: Pseudo-classes and psuedo-elements such as :hover are not supported by cssSandpaper at this time, but may be included in a subsequent release. textShadowForMSIE script would cause a serious problem in accessibility. So I canceled publishing it and re-published a new one.